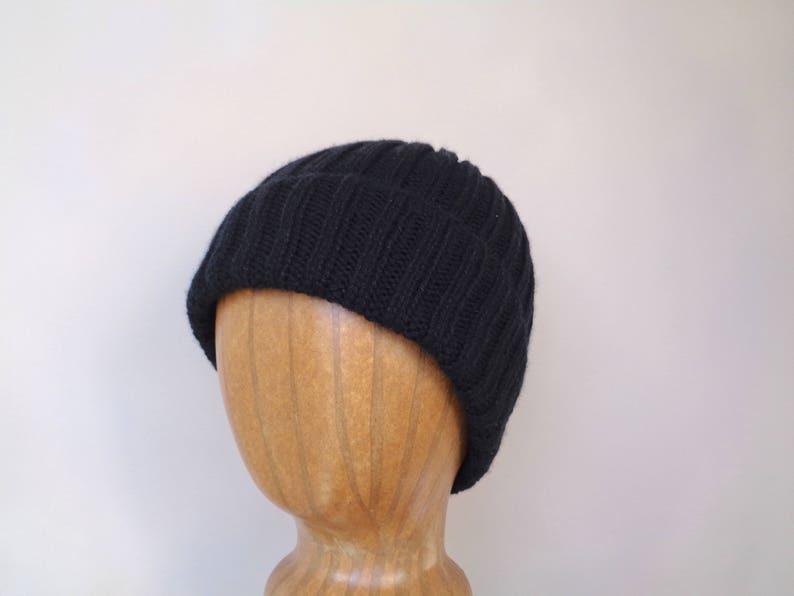 Luxury knit cashmere hat in black, 100% pure cashmere wool - super soft. Hand knit, will fit men and women. Lightly sits on the head, and is quite stretchy. Can be worn with a wider/smaller roll, or without being rolled. Purely luxurious, and a great gift for anyone - and sometimes the best gifts are for yourself! Pure cashmere, in a simple black color. Hat was lovingly and painstakingly hand knit, on toothpick-ish needles. Soft and lovely beanie - very speedy delivery. In this particularly miserable Australian Winter this beanie has been a blessing.